You have a “small” problem. Ugly YouTube Video Links On Facebook. Every YouTube link you post on Facebook looks like this or a variation of it. Your thumbnail is cut off, shrunk, can’t tell what it is. 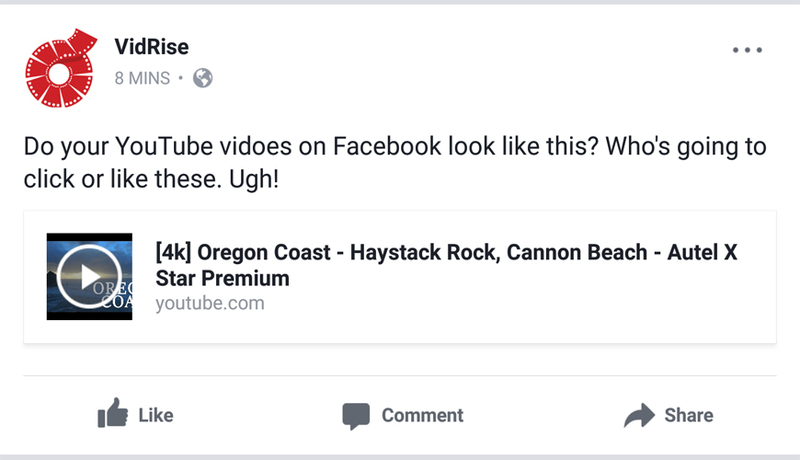 Does your title look nice on YouTube but not so well on Facebook? With a look like this, you’d be surprised how many views you’re missing out on. Better YouTube Video Links On Facebook. 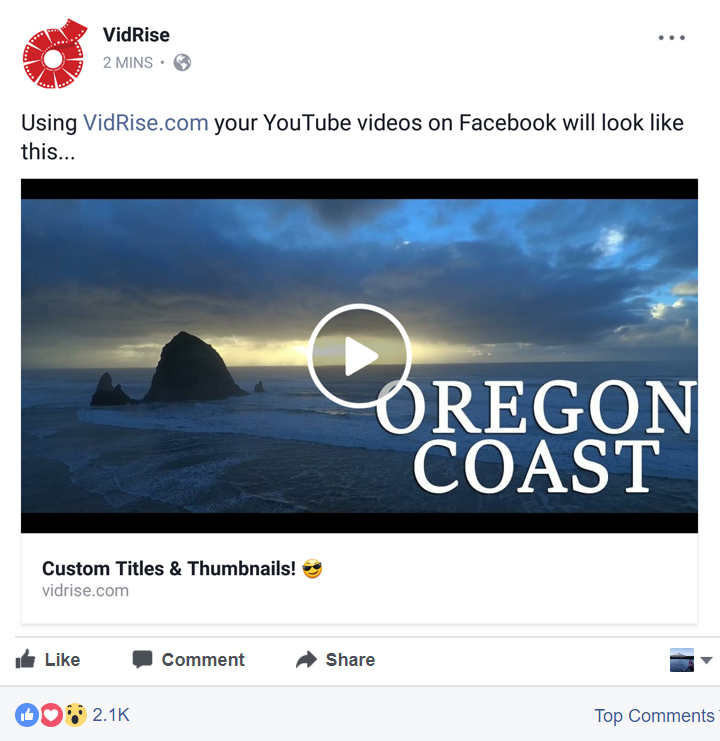 When you use VidRise, your YouTube videos will look better than other vidoes on Facebook. You worked hard on your thumbnail, show it off in it’s full glory. Custom Titles & Thumbnails That Show On Facebook. You can change each title & thumbnail. Creates a more lively and inviting welcome to the post. Nothing’s changed, user redirected to video when clicking your awesome thumbnail. Split test titles & thumbnails with each ad campaign. As a VidRise Sharer or Pro, check up on your link history, customise the domain, and more. But if you need a little more juice for your videos, then upgrade anytime!